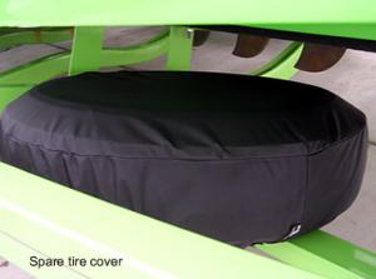 Beyond the Wake makes Boat Trailer Guide Pads and custom covers to protect the look of your Tower Speakers & other tower accessories while towing or in storage. 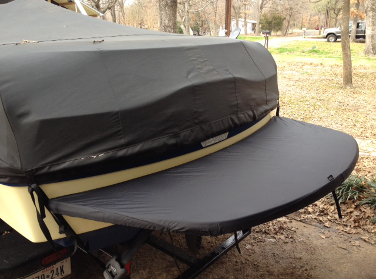 Our covers are designed to keep the rain and bugs away from your Boat’s speakers and accessories and will also protect against fading, deterioration, and other sun-induced damage caused by ultra-violet rays. 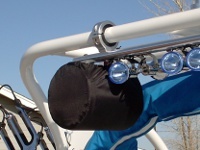 In addition to our popular Wakeboard Tower Speaker Covers and Trailer Guide Pads, Beyond the Wake offers Wake Rack Covers, Light Bar Covers, Tower Pads, Tower Mirror Covers, Rope Shock Tubes, as well as covers for your Boat’s Trailer Spare Tire, Teak/Swim Deck, Ski Rack and Surf Rack to make your Boating, Wakeboarding & Waterskiing accessories looking great..
We also make TV Covers and Outdoor Speaker Covers for your patio/mounted outdoor accessories. Our material we use is a heavy duty & very water repellent nylon fabric available in a variety of colors. Each item is carefully inspected to ensure a high quality and durable product. Visit our product pages for purchasing and more details. Distributors are welcomed to contact us for ordering information.